A Colorado native, Ashley got her MBA in Marketing from the University of Denver. 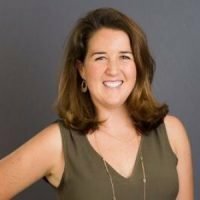 Ashley started her marketing career at Vail Resorts Inc. She has been with Volume Nine for 4 years, and been in the digital marketing industry for several more on top of that. With the rare mix of being both a creative & analytical thinker, Ashley has transformed the way Volume Nine collects, analyzes and designs creative campaigns or digital marketing strategies around data. Day-to-day, Ashley runs the data analysis team at Volume Nine, as well as conducts a large number of Google Analytics trainings each year. When she’s not crunching numbers or mentoring a team member, you’ll find Ashley outdoors either dominating moguls or crushing her opponents in a pickup game of literally any sport.